Next at number 23 of the Top 25 Must-Play Video Games we have Mirror’s Edge, a pure gold platform game with a twist. Hello everyone and welcome to Top 25 Must Plays, the place where you can read about video games, well-known and well-hidden! 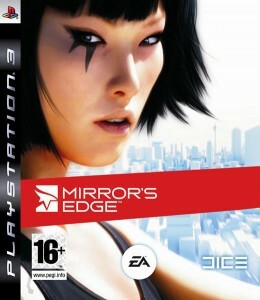 EA Digital Illusions CE’s 2008 first person, action-adventure, platform game for the PS3, Xbox 360 and PC – Mirror’s Edge. 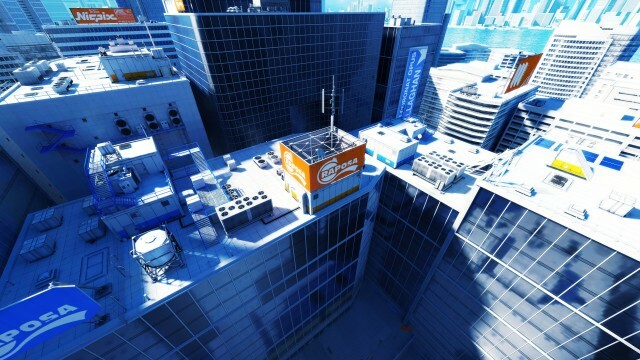 Mirror’s Edge is set in a beautifully designed Utopia under the heavy surveillance of a dictatorial administration. You play Faith Connors, a runner, who transports information illegally. The runners fight for freedom unlike most, who settle for a comfortable life under heavy rule. But a mayoral election looms and an unexpected murder puts Faith Connors and the runners in danger. Okay so it’s not the most original plot to grace the video game market and for the most part it did feel ‘tagged-on.’ BUT the story isn’t why this title is in our Top 25 list. It isn’t what makes this game innovative either. It’s the combination of Gameplay, exceptional visuals and score that makes Mirror’s Edge a game that’s truly special. Before Mirror’s Edge we had the platform and first-person genre; never before had the two come together, and we never expected it would look or feel so slick if it did. The game flowed almost effortlessly in chase sequences and the action/free-running combo was a wonderful addition to Gameplay. Mirror’s Edge single-handedly revolutionized the platform genre. Though the Gameplay mechanics weren’t perfect, it was something new, something fresh. And the clean design and score only added to this one of-a-kind gameplay experience. The towering futuristic city bore only snaps of bright color amongst the stark white walls and rooftops. It created a blindingly beautiful scene-scape to reflect the clinical game-verse. A genuinely original title, Mirror’s Edge set a benchmark for all modern platform games and shouldn’t be missed for that reason alone. Interested in the game? Try Play.com for new and used games (UK) or Amazon.com for some great deals (US). 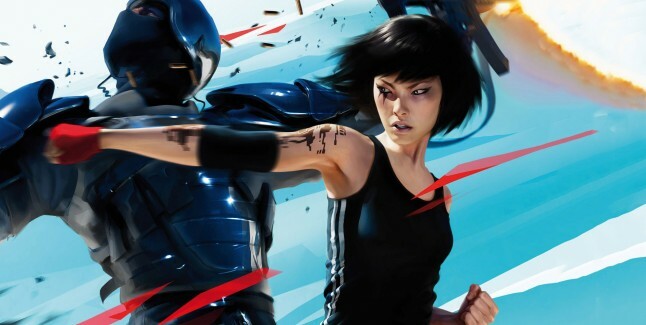 And don’t forget, Mirror’s Edge is available on the PS3, Xbox 360, AND PC.